Lately I’ve had a few calls from potential clients wanting to target users in surrounding cities. Many of them are wanting to show up in the maps or Google My Business results. I already wrote about this last year and explained how proximity to a surrounding city will make it next to impossible to rank in the top 3 in a surrounding city your business is not physically located in. It’s just one of the sad truths above the Google Maps results. But there still is a way you can drive traffic to your website by targeting users in surrounding cities. Read on to find out what that is. Just because you can’t rank in the Google Maps in another city, doesn’t mean that you can’t create a landing page on your website targeting a surrounding city. We’ve done this for quite a few of our clients. Especially those doing business in smaller cities and have clients from other smaller surrounding cities. 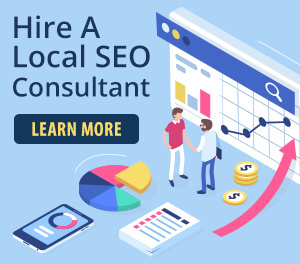 I’ve already written about how to create great local SEO content. Read that post then this one on creating local SEO landing pages for surrounding cities. How much trust does your domain have with the search engines? How well written and optimized the page is? How unique is each page? Don’t just copy and paste the same text and change the city name. How many interlinks do you have to each of these surrounding city pages? Be sure to write a few blog posts about your service geared towards those cities and have a link to a city page you’ve created. This can even work for storefronts. Point out that the short drive to your city is something many of your current clients have done and that it is well worth the drive. Then list some of your unique sales propositions like Jay Abraham says to do. Again, the chances of ranking in the top 3 of Google Maps in a surrounding is highly unlikely. But you can still follow the steps from this post and the others I’ve linked to to create landing pages targeting those surrounding cities.